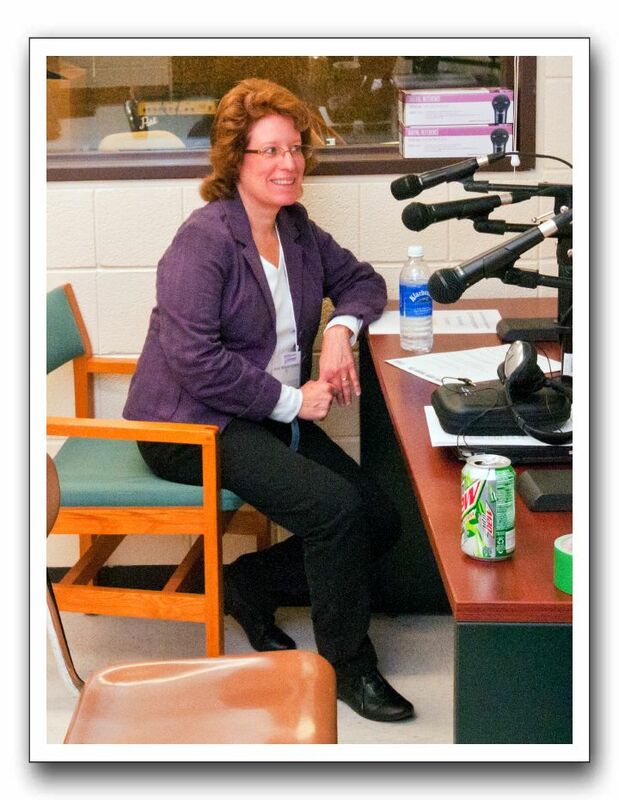 Back in a familiar location, Robin Wingast LaBedz prepares to go on mic during the Old School Radio Show broadcast on Rockford College Radio on October 1, 2011 during reunion weekend. She's in Studio B of the old WRCR studios in lower Burpee Center. About a dozen former WRCR staffers took part in the show.